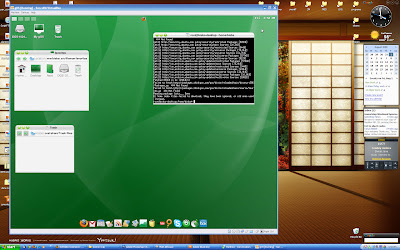 ive been tinkering with this Ubuntu or Debian based linux distro called good OS or gOS there have been some to mistake this for “GoogleOS” which technically doesn’t exist as an official OS “GoogleOS” refers to all their online services. this is called gOS. 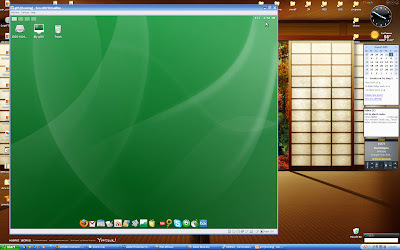 The earlier versions (1 and 2-beta) used the Enlightenment 17 window manager instead of the usual GNOME or KDE desktops, to create a desktop that had similar usability to Mac OS X. Based on the idea of cloud computing, all versions of gOS lean heavily on on-line applications built on Web 2.0 and AJAX technology so they also do not use much hard disk space for applications. 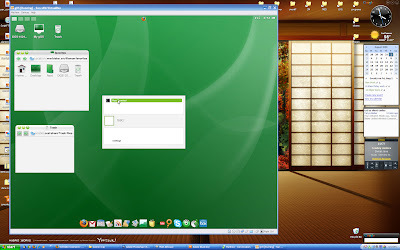 gOS Rocket’s primary features included a Mac OS X-like Dock called ‘the Launcher’, containing icons to launch the following programs: Firefox web browser, Rhythmbox audio player, Xine video player and Skype for Internet telephony. Other programs could be added to the Launcher as well. The first E17 based version of gOS used another Dock-style interface called the iBar. There were also icons to launch Firefox to specific web-sites and web applications for Google Mail, Google Talk, Google News, Google Calendar, Google Maps, Google Docs, Google Spreadsheets, Google Reader, Google Product Search, Blogger, YouTube, Facebook, Box.net, and Meebo to online chat with Yahoo! Messenger and .NET Messenger Service users and Wikipedia. opening the terminal was a chore and it only opens in root you cannot not just sudo the terminal which i think should be fixed you shouldnt be running in root any way. This entry was posted in Biebs' tech news, Biebs' World Blog, Biebs' World Review. Bookmark the permalink.